UPDATE 8/29: THIS EVENT HAS BEEN MOVED TO THE ROSE KENNEDY GREENWAY / DEWEY SQUARE. 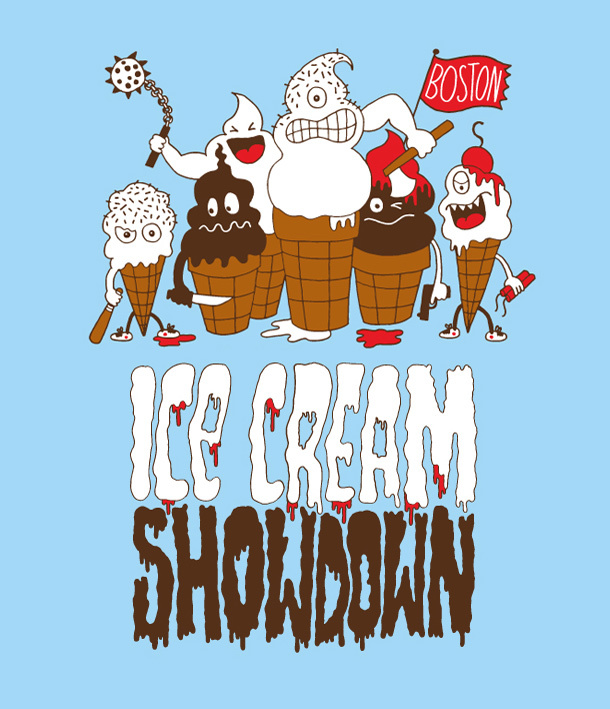 On Saturday, September 8, from 2 PM to 4 PM, Ice Cream Showdown 4 will be held on the Rose Kennedy Greenway the docks of Community Boating. Representatives from awesome ice cream shops will be on hand sampling their wares so you can try the best Boston has to offer. Money from the event will be going to Community Servings and Lovin' Spoonfuls to support them in their mission of feeding Boston's hungry residents. This year's one day ice cream celebration will feature newcomers FoMu and Emack & Bolio's, along with JP Licks, Giovanna Gelato e Sorbet, Picco, and Toscanini's. This list is subject to change. This is a rain or shine all ages event. This ticket is good for one entry to the Ice Cream Showdown.